When you choose Robison Dental Group for your general dental care, you’re choosing family dentistry with a difference. From your routine dental hygiene visits to orthodontics for both the kids and adults, your entire family can find what they need. We recommend that you visit our Canton dental office once every six months for general dental care. During your routine family dentistry visit, one of our dental hygienists will perform a professional cleaning. We use the DIAGNOdent, a digital cavity detection device, to discover dental decay early and prevent extensive dental damage from taking hold. By offering oral cancer screenings using the VELscope cancer illumination technology, our dental exams are more thorough than you might find elsewhere. And with gum disease being a common problem, we can perform periodontal therapy to halt the progression should gum disease become an issue. We look forward to ensuring oral health for you and your entire family with general dentistry care from Robison Dental Group. Should any problems arise, we can provide restorative dental care designed to rebuild your oral health and support your overall wellness. Why Choose Robison Dental Group for General Family Dentistry? 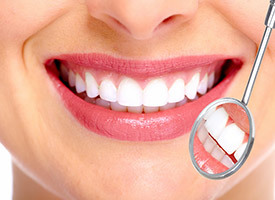 Many oral health problems, including cavities and gum disease, don’t present obvious symptoms right away, leading many people to not notice anything until the issue is quite advanced and difficult to treat. That’s why we recommend that patients should come to see Dr. Robison for regular checkups. 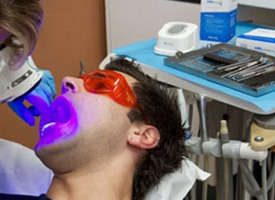 They will enable him to catch any dental decay or damage you might have early and take care of it right away. 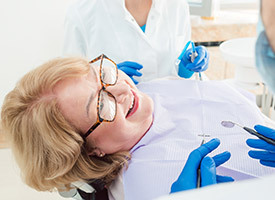 Plus, you’ll also receive a dental cleaning at these routine appointments, which will remove harmful plaque and tartar from the areas in your mouth that your brush and floss can’t reach! The teeth come in many different shapes and sizes, and the back teeth, with their wide, flat, and pitted surfaces, are the most vulnerable to developing cavities. Their deep grooves can easily trap food particles and plaque that’s difficult to remove (especially for young children who are still learning to brush). With a dental sealant, however, we can give these teeth some extra protection. We’ll simply apply a clear, plastic-based substance to the teeth, and it will quickly harden into an invisible barrier that plaque, bacteria, and acids cannot cross. Millions of Americans unconsciously grind their teeth while they sleep, so much so that there is actually a term for it: bruxism. This exposes the teeth to crushing pressure night after night which can eventually cause fractures within the enamel. To help patients rest easy, we can have them wear what is called a nightguard to bed. 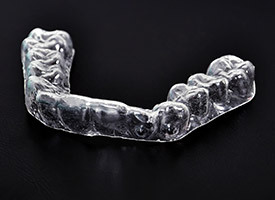 It’s a small oral appliance that places a thin but strong barrier between the rows of teeth to prevent them from coming together during the night. We perform an oral cancer screening at every routine checkup because its initial symptoms can be very easy to miss, and early detection and treatment are essential to overcoming the disease. During this exam, we’ll utilize the VELscope light, which causes potentially cancerous tissues that would normally be invisible to the naked eye to illuminate. With it, we’re able to spot problem areas faster and help patients get follow-up care even sooner. Fluoride is a naturally occurring mineral, and when it’s exposed to the teeth, it actually strengthens the enamel, which lowers a person’s risk of tooth decay over time. You’ll often find it added to toothpaste and community water sources. 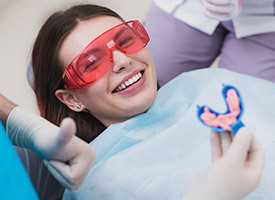 To give our patients another weapon in the fight against cavities, we can give them a topical fluoride treatment during their regular preventive visits. We simply expose their teeth to a highly-concentrated fluoride solution for a few minutes, and that’s it! It’s quick, easy, and one of the best ways to keep the teeth healthy between appointments. 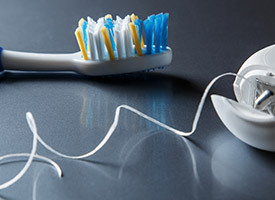 Did you know that 99% of your dental care actually happens at home with routine brushing and flossing? This means that the oral healthcare products you and your family regularly use are extremely important to your long-term dental health! If you’re curious as to which specific products would be best for you and your loved ones, just ask one of our hygienists when you come to see us. They’ll be happy to give you recommendations, and if needed, we can provide many prescription strength products you won’t find on store shelves. Since the 1940s, Robison Dental Group has been serving generations of local families, so of course, we’re always happy to welcome children into our office! As a father of two himself, Dr. Robison will know exactly how to keep your little one comfortable in our office. He’ll make sure they’re able to avoid cavities and can fix any dental issues that might pop up along the way. Between him and our friendly team, we’ll make sure that your child never has to dread going to the dentist! When it comes to your dental health, the condition of your gums is actually just as important as your teeth. 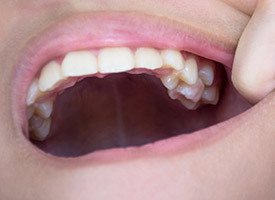 Without consistent oral hygiene, they can develop an infection called periodontal disease, better known as gum disease. This can cause redness, swelling, bleeding, and eventually, it can lead to tooth loss. Our team is ready to protect your entire smile, so if we spot this infection at one of your appointments, we can use a deep cleaning and powerful antibiotics to safeguard your smile right away. 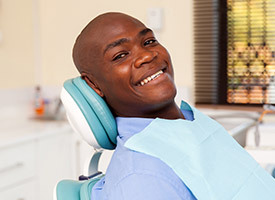 Do you regularly miss out on dental appointments because of anxiety or fear? If so, then our team completely understands, and we’re here to help. With sedation dentistry, we can make sure those nervous thoughts go away and guarantee you won’t experience any physical pain. For Dr. Robison, patient comfort always comes first! Using either gentle nitrous oxide (laughing gas) or a prescribed medication, he’ll help you experience the smoothest and most-stress free dental experience of your life. Your TMJ, or temporomandibular joint, is the small set of hinges that connects your lower jaw to the rest of your skull. This joint enables it to move fluidly in all directions, but sometimes, it can develop issues due to strain, injury, or inflammation. This can lead to a TMJ disorder (TMD), which can cause symptoms like a stiff and painful jaw, frequent headaches and migraines, and soreness in the neck and shoulders. Dr. Robison trained to diagnose and treat these kinds of issues at the prestigious Las Vegas Institute, meaning he can help patients discover the root of their problems and provide proven treatments designed to eliminate pain and dysfunction. Do you feel exhausted throughout the day no matter how much you sleep at night? 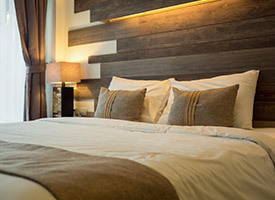 Does your bed partner constantly complain about your loud snoring? If so, then you could be suffering from sleep apnea, a serious disorder that can not only rob you of sleep, but your overall health and quality of life as well. Using custom-made oral appliances, Dr. Robison can help patients overcome these problems one restful night at a time, ensuring that they (as well as the people around them) are able to wake up feeling energized every morning.